Introducing our new chicks! 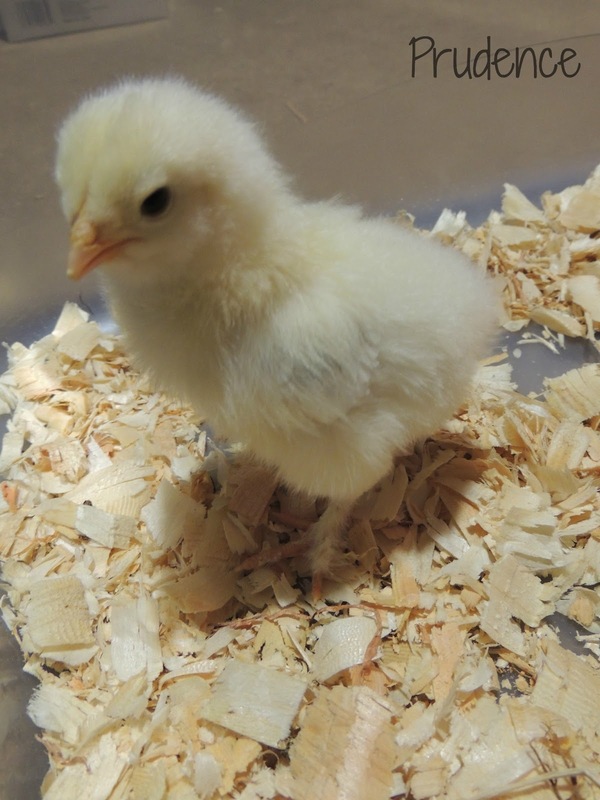 We have 20 chicks, 9 different kinds. There are two groups, one week apart. I'll be posting photos of them each week as they grow, so be sure to check back! Here is Chipmunk! An "Araucana", or more accurately, an Easter Egger. Once grown, she will lay blue or green colored eggs. 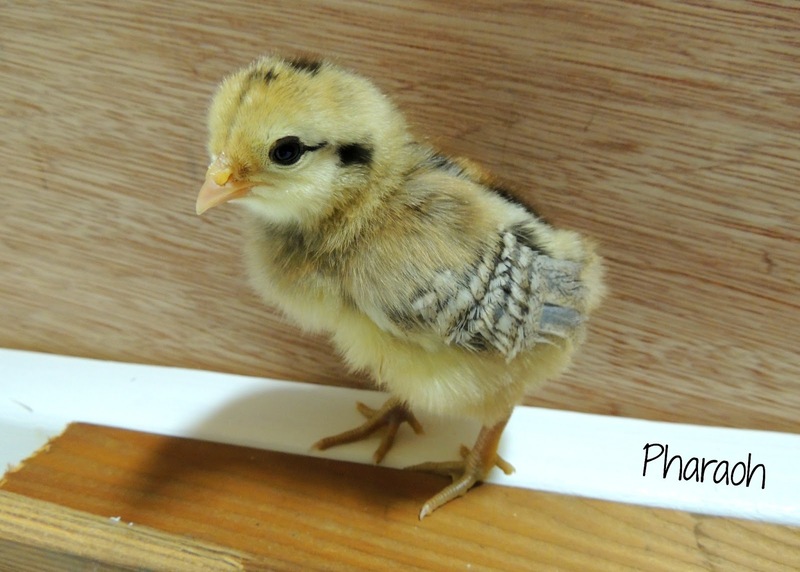 She is one of the older chickens, who are a week older than the younger ones. This is Pharaoh. Although we call her "Phara" for short. She's another Easter Egger. She is so pretty! Here is Fluffs. I don't think I need to explain where she got her name! I don't even know how she could see at all with all the fluffiness around her face. She is an Easter Egger as well. Here is Houdini! She is a sweetie pie. 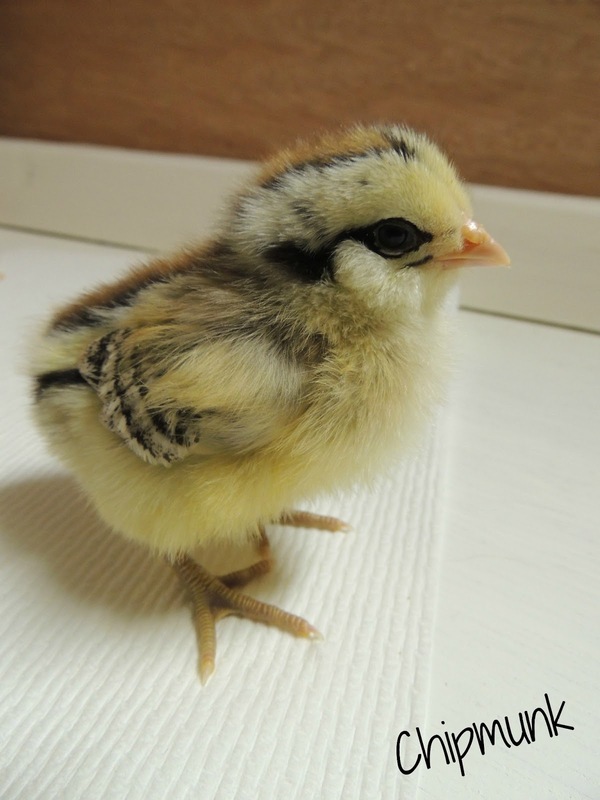 Also an Easter Egger. She was very wiggle-y when we first got her, which is where her name came from. This is Khalessi. Game of Thrones anyone? She's a Babcock White Leghorn. 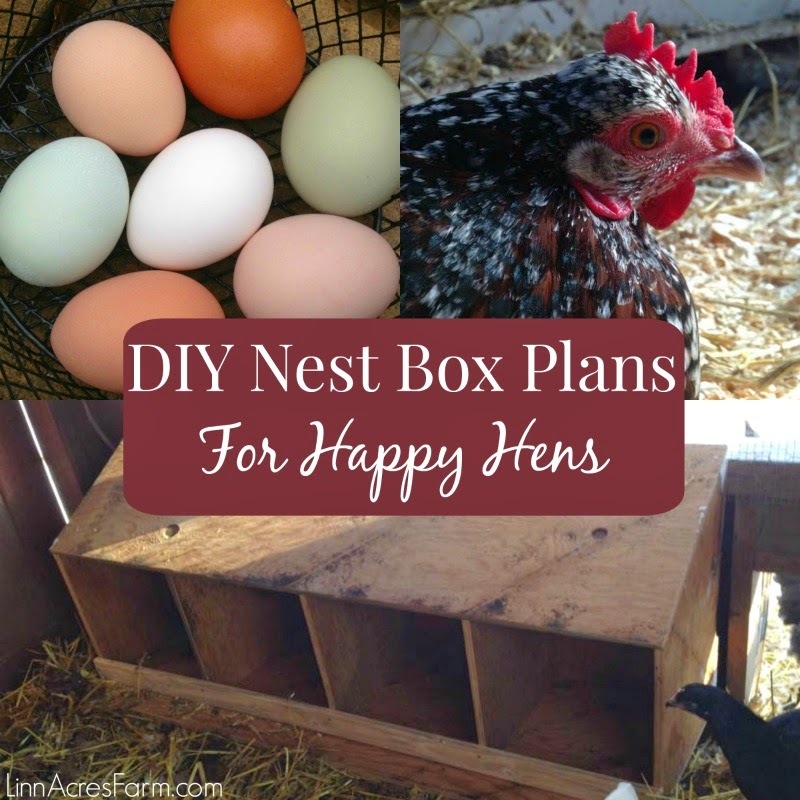 Leghorns lay white eggs, and I got them to have a few white egg layers in our flock. 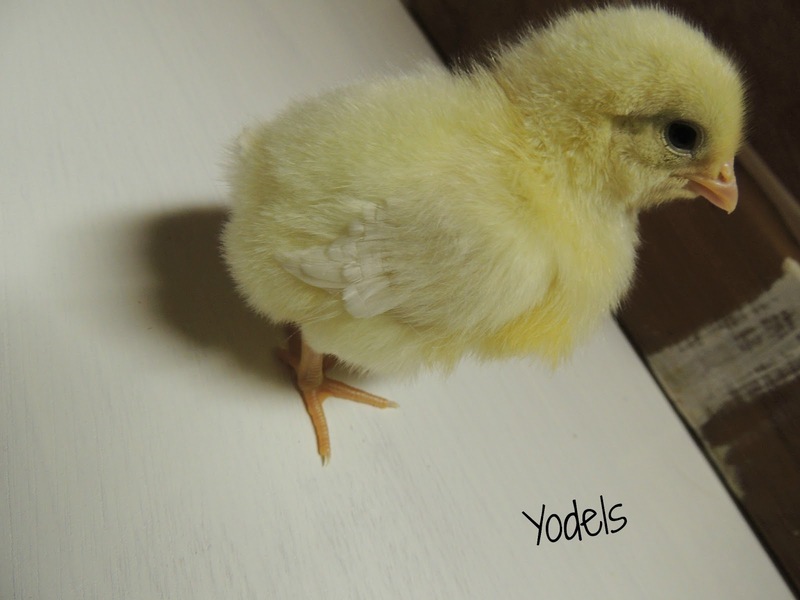 This is Yodels. Another Babcock White Leghorn. She cried & cried when we left the room on the first day we had her. As soon as we came back, she was comforted and stopped crying. So we called her Yodels! This is Slippers. 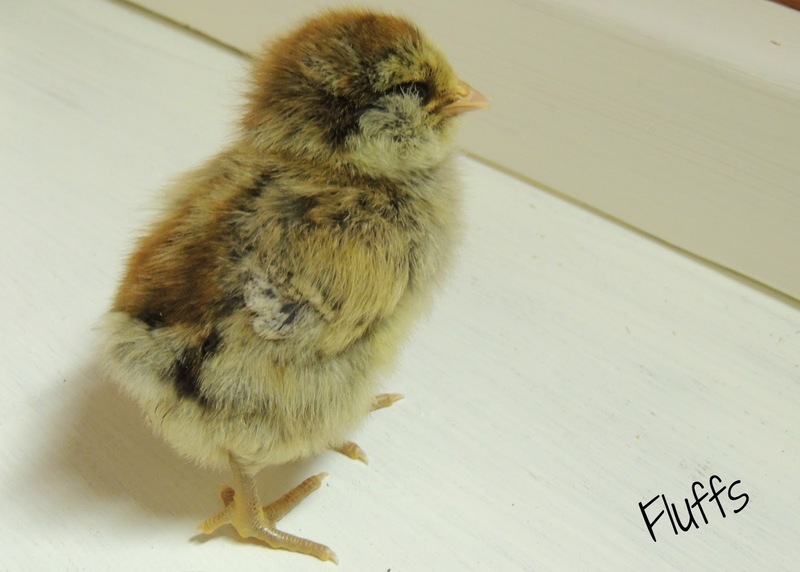 She is a Sultan, so she had very feathery feet. It looks like she's wearing a pair of feathery slippers! 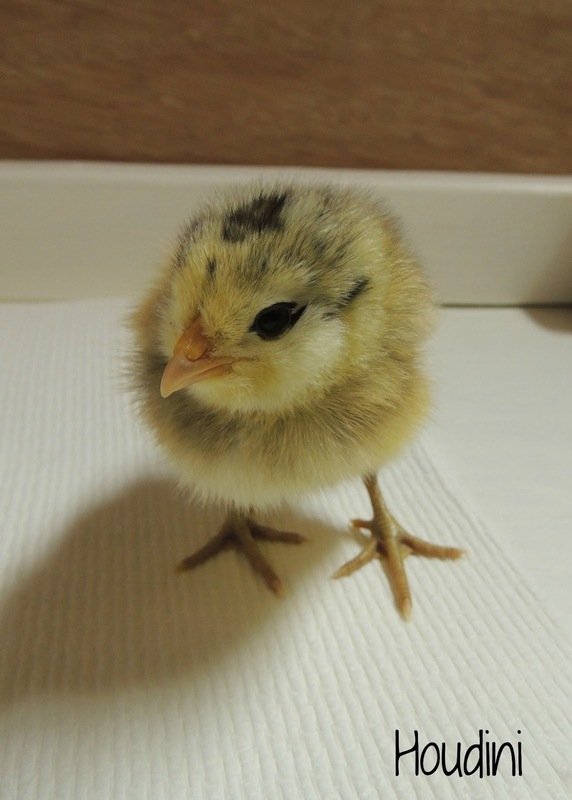 She's probably our most timid chick. She kept falling asleep when we were trying to take the photo! 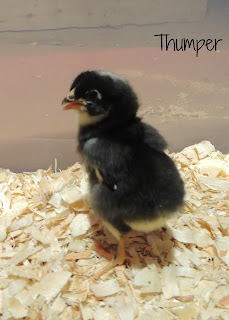 Here is Bambi, who is a Barred Rock. 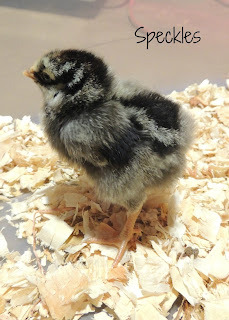 Our two barred rock chicks are the hardest for me to tell apart! I have no trouble telling all the other chicks apart, but with these two, I really have to look. This is Prudence, but we just call her Pru. She is a gorgeous Light Brahma. 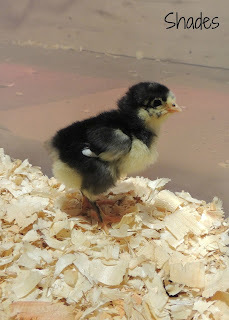 She is by far our most curious chick out of the whole bunch. No matter what it is you are doing, she's right there to investigate! This is Shades. 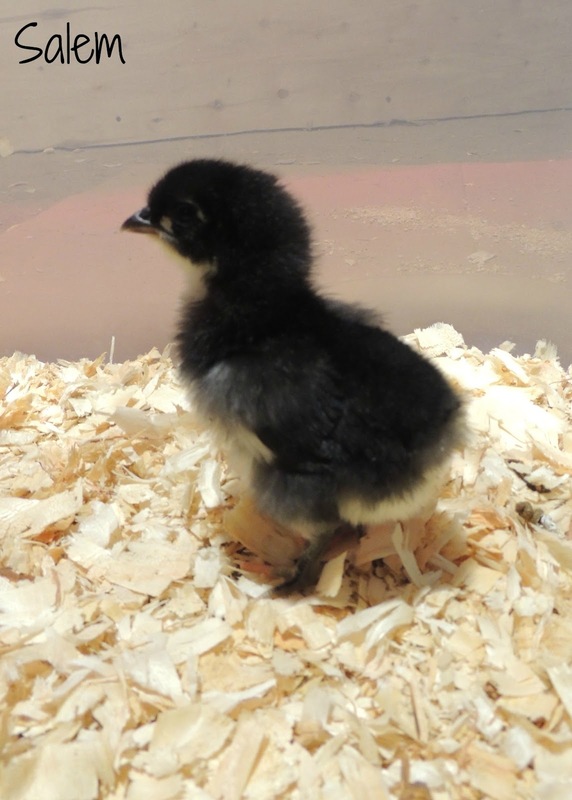 She is a Black Australorp. She got her name because of some faint markings around her eyes, which aren't showing in the photo very well. 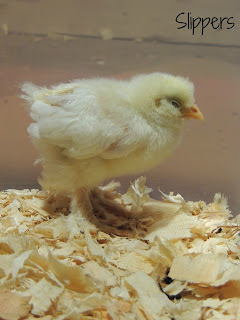 She is one of the lazier chicks, who really enjoys napping. This is Ducky. Another Black Australorp. She is such a cutie, and also very curious! She doesn't hesitate to scramble up into your lap if given the chance. 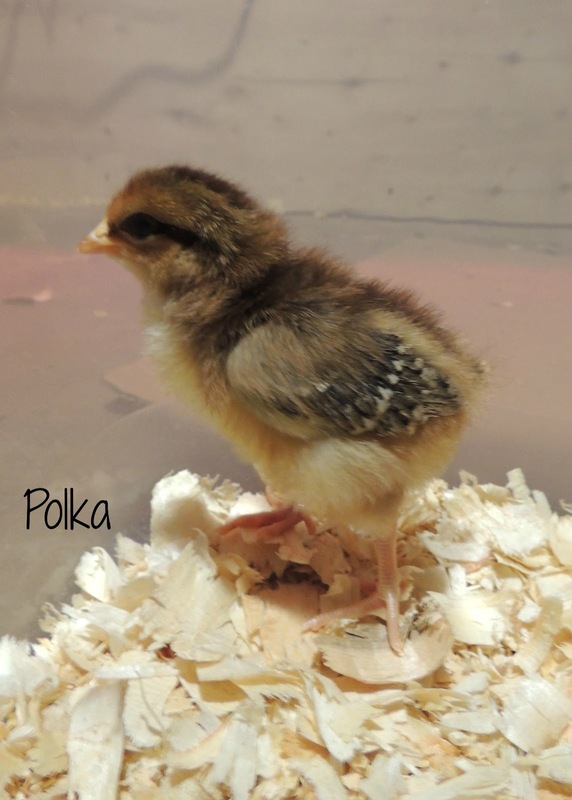 Here is Polka, who is a Speckled Sussex. 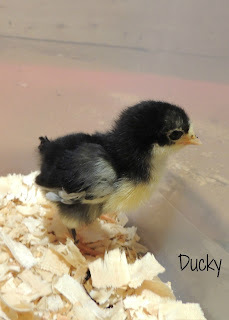 Such a pretty chick! Can't wait to see how beautiful she is when she grows up. 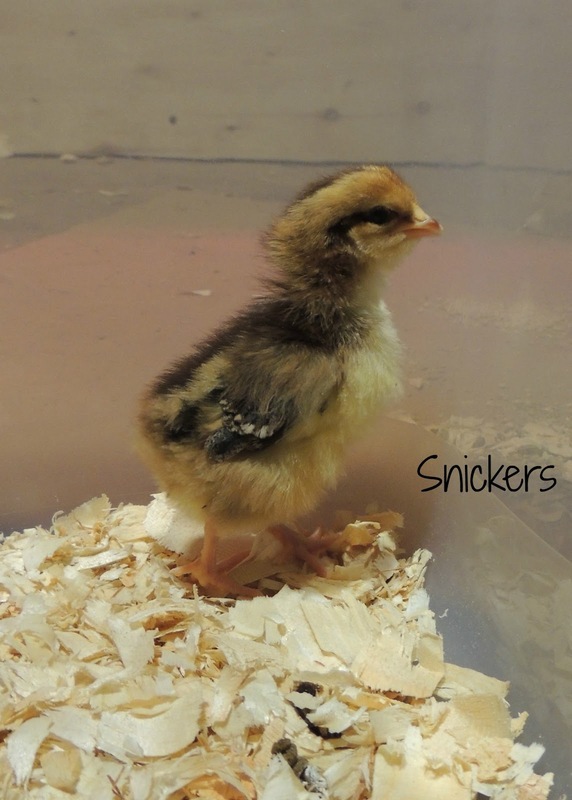 This is Snickers, another Speckled Sussex. Initially, I had trouble telling these two apart. But as they've been growing, there are a few differences between them now. 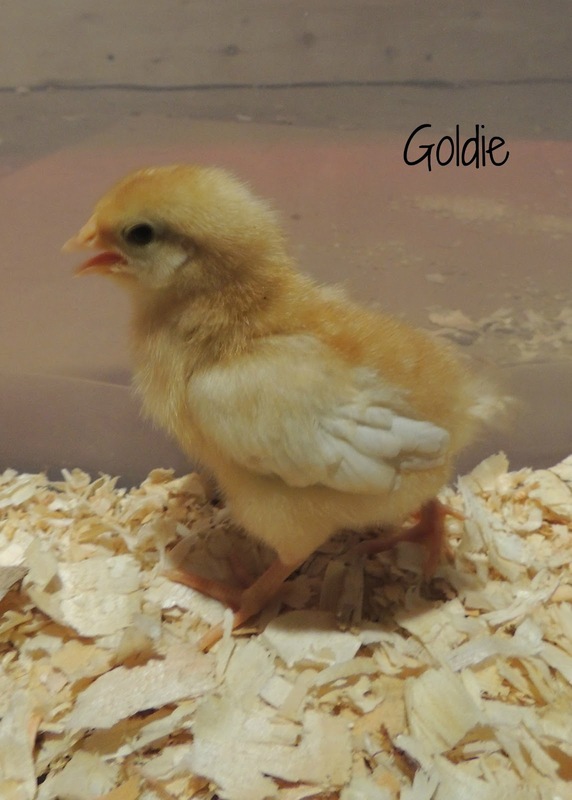 This is Goldie. A Golden Comet. I absolutely love their golden color. 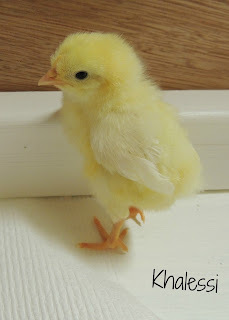 Both of them are very friendly little chicks. 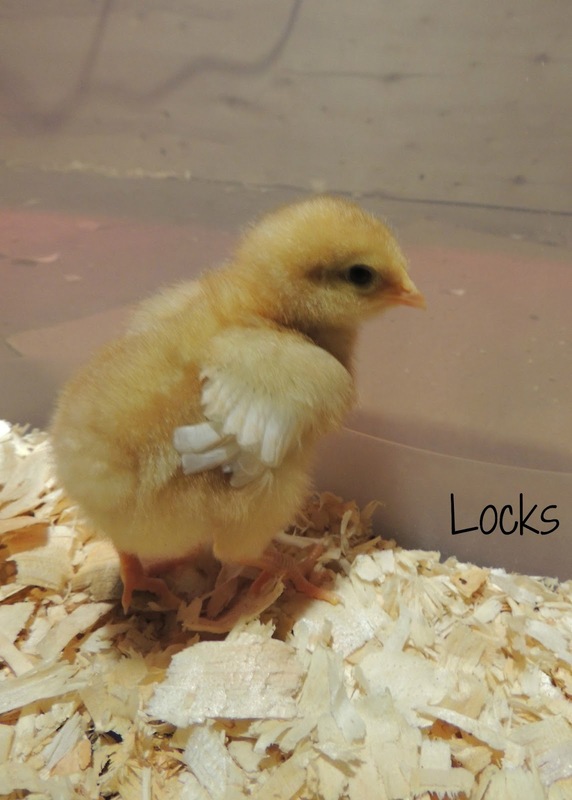 Here is Locks. I'm sure you noticed that one is called Goldie, and the other is Locks. They are both so curious! Now that they are older, they love flying right up onto me. 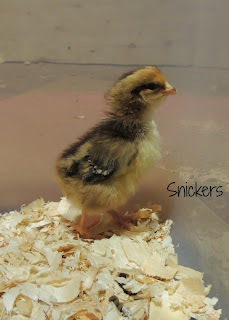 This is Thumper, the other Barred Rock chick. These two are always together, it's very cute. 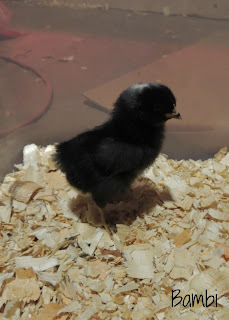 This is little Itty, a Black Australorp. She was so so so tiny when we first got her, we were worried that she wasn't going to make it. She acted a little odd, so we thought something might be wrong. But she has been doing great! 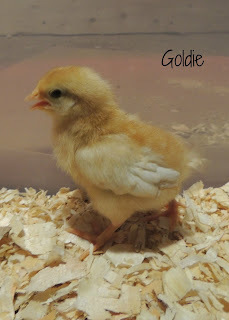 This is Dots, a Gold Laced Wyandotte. She has lots of little dots on her head, which gave her the name Dots. This is Salem, a Black Australorp. 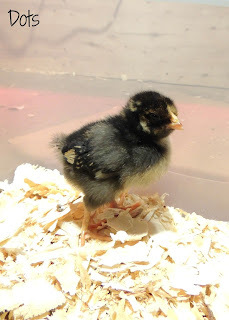 She is the blackest of the chicks, which makes her easy to pick out. She is absolutely gorgeous. And last but most certainly not least, is Speckles. 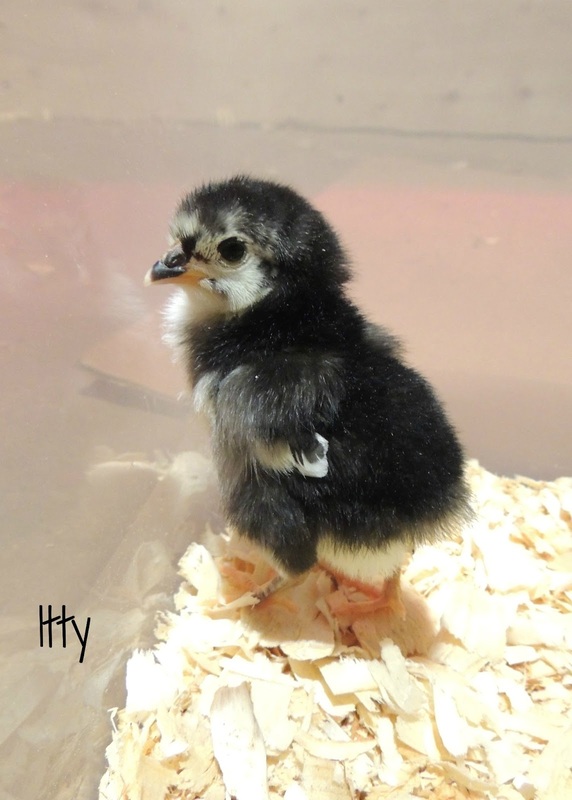 Another Silver Laced Wyandotte. She is going to be so pretty when she grows up! 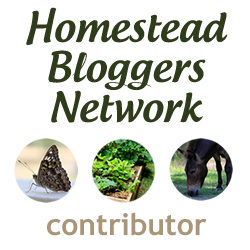 And don't forget to check back for updates as they grow! The first one will be relatively soon, since I've been too busy to post this post. In the above photos, they are only a few days old, but at the time I'm writing this, the older chicks are just about three weeks old and the younger ones are two weeks old.